LEXINGTON, MA--(Marketwired - Jan 13, 2014) - To support its continued growth throughout Massachusetts, nonprofit Neighbor Brigade (www.neighborbrigade.org) announced today it has appointed Claire Sheth as the organization's first director of programs. Sheth brings to the position 20 years of professional and volunteer nonprofit experience, having served many of New England's top charitable and public sector organizations with a special emphasis on social services. Neighbor Brigade is a fast-growing, community-based organization that enables local volunteers to help their neighbors in times of sudden crisis. "We are incredibly fortunate to have someone with Claire's depth of experience and talent joining us at this critical stage to help guide and support our continued growth," said Stephanie Lawrence, executive director of Neighbor Brigade. "As our organization evolves and looks to expand its reach into more communities, it's essential we have a skilled professional like Claire working with chapter leaders to manage and strengthen their efforts to bring relief to those in acute need. We couldn't be more excited to have her join our team." Sheth began her career as a VISTA volunteer with the Massachusetts Department of Education's Adult and Community Learning Services division and South Boston Neighborhood House. She went on to pursue a master's degree in Nonprofit Management at the Milano School of Management at the New School for Research in New York City, while working as a Program Manager for New York Cares -- the City's largest volunteer management organization, with sister organizations in most major metropolitan areas. 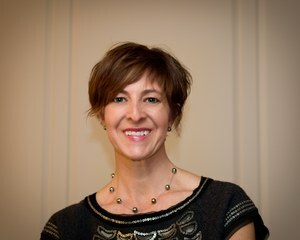 Upon completion of her master's degree, Claire returned to Boston to work as a nonprofit management consultant with the Boston-based firm, Technical Development Corporation (TDC) where she provided strategic business planning and needs/ organizational assessment assistance to more than 30 New England-based nonprofits including organizations such as the Boston Foundation. In 2001, Claire served as Deputy Director of Boston-based Generations Incorporated to guide a strategic process that resulted in significant growth in the organization's quest to engage volunteer retired adults in the literacy needs of Boston Public School children. More recently, Claire has worked as a Local Childcare Coordinator with Cultural Care Au Pair and as an independent consultant, completing projects on behalf of Generations Incorporated, the Joe Andruzzi Foundation and Boston Area Gleaners. As a resident of Cambridge and then Lexington, Sheth also has dedicated time as a volunteer to a number of organizations, including Generations Incorporated, the Hestia Fund, the Newtowne School of Cambridge, Citizen Schools, LexFUN!, and Lexington-based PTOs.